Time to Get Back to Hunting. Things are getting back to normal, hunting is back on (see this months guest above) , tourism is back, the country is safe and secure, all demostrations have stopped and its time to get back on track. IMPORTANT NOTICE : As Duck and Dove hunting in Nicaragua is fast becoming the next great hot spot for high volume wing shooting. Also comes many outfitters offering hunts. The government of Nicaragua ONLY allows 4 permits for outfitting Duck and Dove Hunting in Nicaragua. WE ARE one of those outfitters. Welcome to Nicaragua Hunting & Adventures. (NHA). We specialize in Duck and Dove hunting and Fishing, along with a wide array of other activities for the adventurous person wanting to visit Nicaragua. We always say, it's like a vacation / hunting packages rolled up in one. Great for families, wives and children, company incentive programs, group outings. Been to Argentina? Done that? Looking for something closer to home, less flight time, still high volume shooting? Then when it's all said and done, easier on your wallet? This is the place. For those of you who have not been to Argentina, and looking for a comparable shooting experience, with high end and economical hunts. This is also the place. Celebrating our 50th year anniversary executing quality duck and dove hunts in Nicaragua for clients from around the world. Check out our promo page for any promos!!!! With over 50 years experience in Hunting and Fishing in Nicaragua. We are one of the pioneers of wing shooting in Nicaragua. Our team of Nicaraguan - Americans have been taking care of all different kinds of clients for many years. From top executives and company incentive trips, to serious high volume shooters. We know how to cater to each and every one of your needs. It's your trip, your money, and your time. We are here to arrange what you want. Not to shove packages down your throat. So you will find us a little different then the rest. We have our packages for you to choose from if that is what you wish. Or build your own hunt. Everyone is different, you know what you want, you know your budget, we just want to help you get here, and get in some great shooting and or adventures. So take a look over the website, it has a wide variety of things to do, from hunting, fishing, and adventure tours. 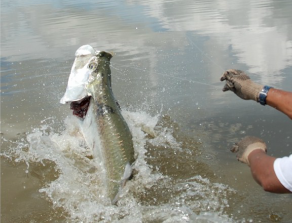 Our main focus is on the Hunting and Fishing in Nicaragua, while still being versatile to allow hunters more options. Build a package custom made for your needs. While you might hear stories otherwise, duck and dove hunting is very legal in Nicaragua. Actually a study done by John W. De Grazio - Pest Birds - An International Perspective - " Other pest birds in Latin America include the White-winged dove - Zenaida asiatica. " 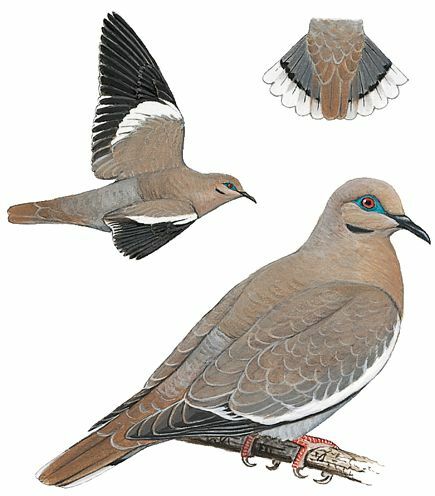 " White - winged dove damage the same crops in Honduras, Mexico, and Nicaragua." Helping Nicaragua Eco System and economical stability of its agricultural industry. A study done by John W. De Grazio - Pest Birds - An International Perspective, shows : " Two widespread pest bird problems in Latin America are damage by Teal, White-faced and Tree-ducks D.viduata to emerging rice (it occurs in Argentina, Columbia, Costa Rica, Honduras, Nicaragua, Surinam, Uruguay, and Venezuela)"
Not only bringing great hunts to bird hunters, but helping rid Nicaragua of pests that cause Millions in crop damage, along with bringing an influx of tourist dollars into the communities. Great for family, wifes, girlfriends, children, and also yourself.